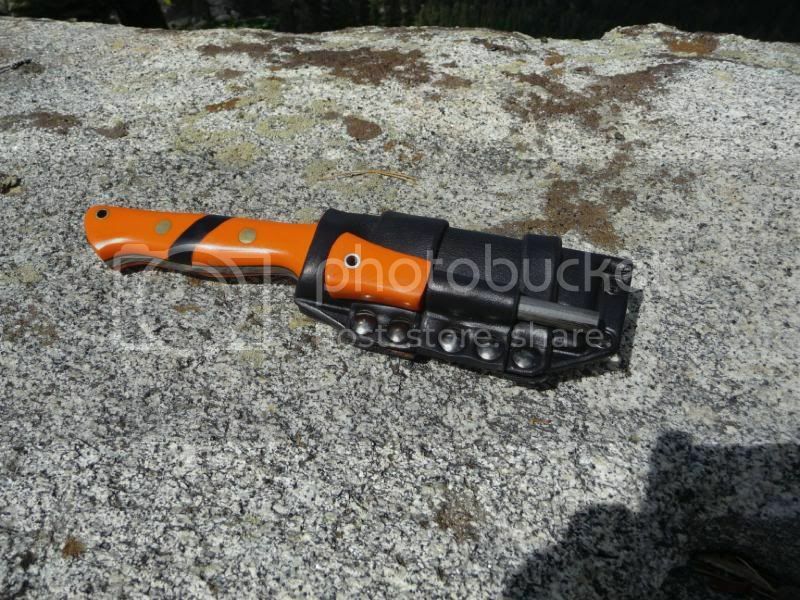 This one for the Hill S.O.K. 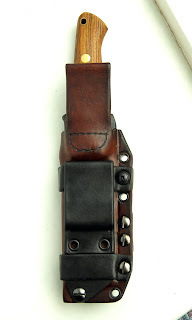 has a removable retentionstrap.. 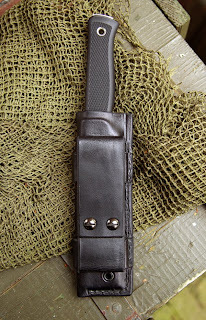 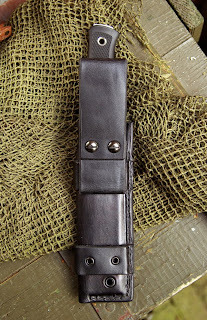 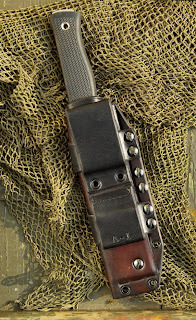 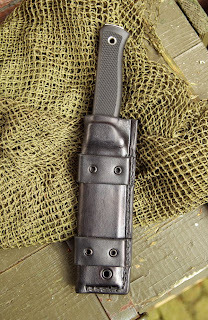 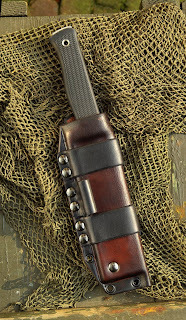 This one for the Fällkniven S-1 can be worn horizontally on the belt, or vertical using the loop. 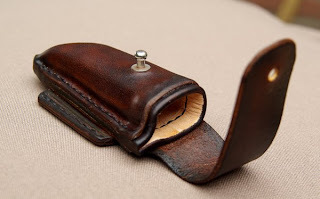 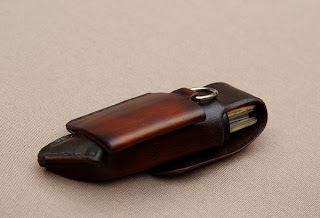 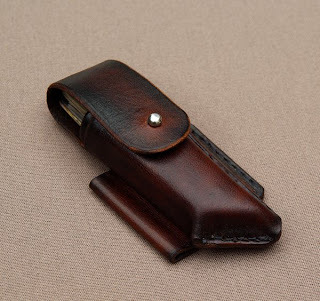 A small leather pouch for a leftie. 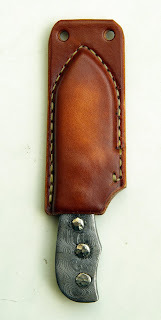 Lined with soft leather, and a an outer of tough halftanned. 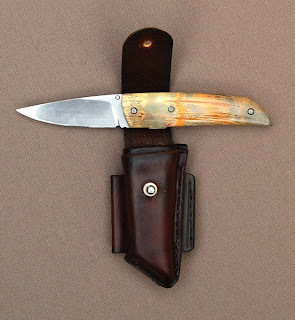 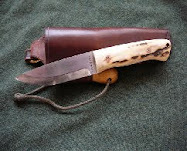 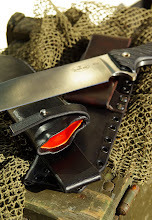 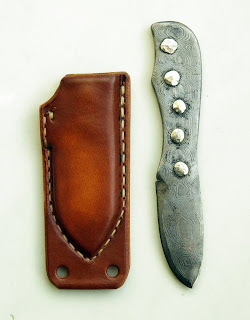 The folder is made by Toni Oostendorp of Eastvillage Knives. 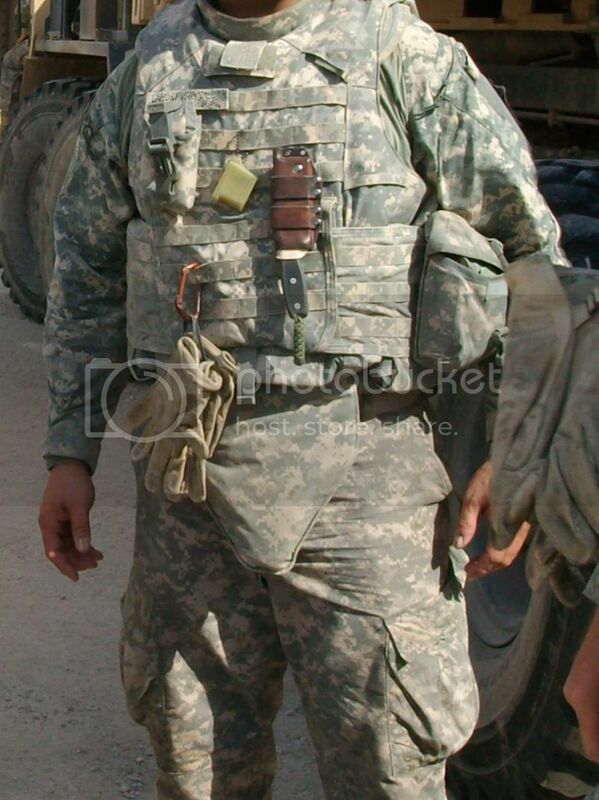 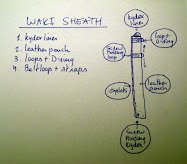 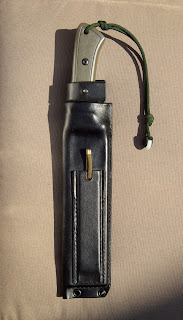 Some different versions of the Technical Sheath. 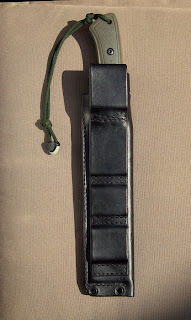 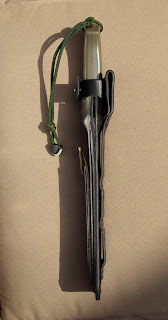 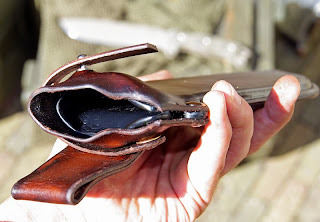 This sheath for the Bandicoot by SRKW has a retentionstrap. 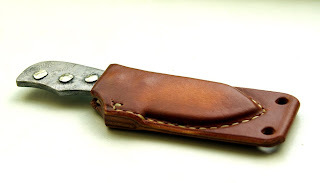 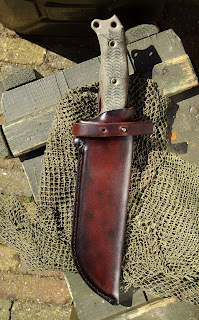 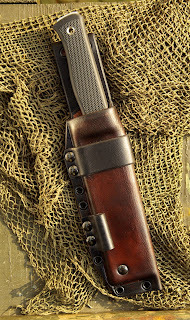 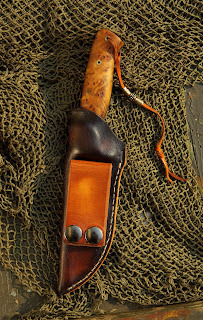 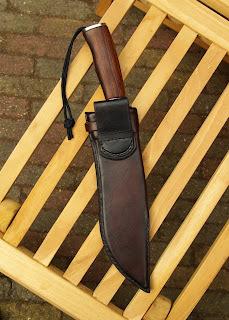 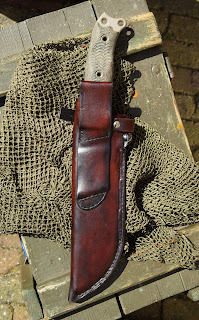 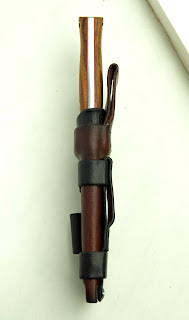 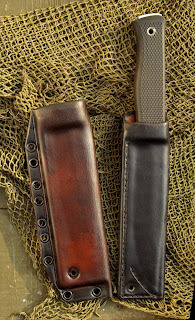 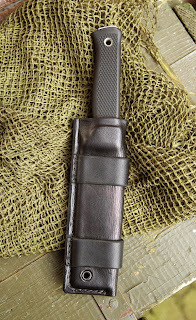 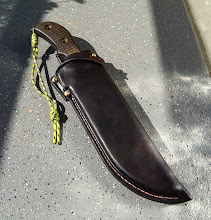 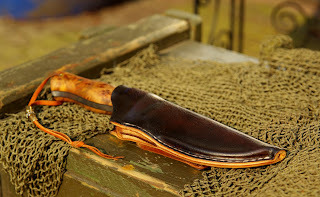 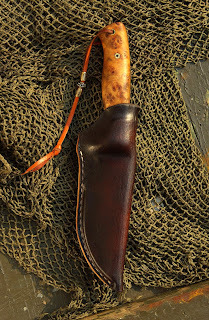 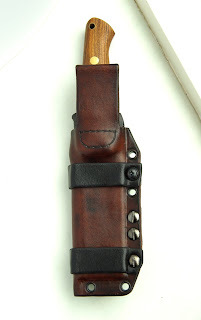 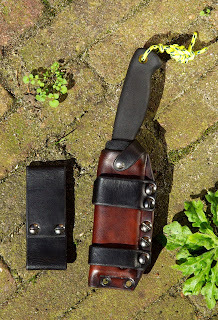 All leather technical sheath for the Fällkniven A-1. 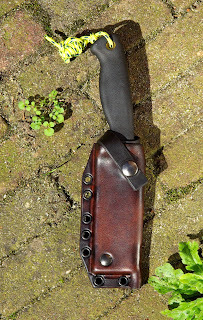 The well proven Ratweiler pattern goes very well on the Busse NMSFNO. 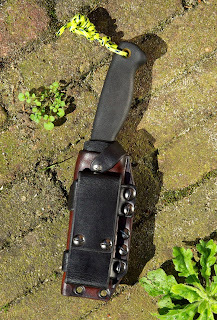 Leather with a kydex insert for a very nice damascus utility blade who's handle matches the colours of natural leather perfectly..
one with a core of thick and soft halftanned, and an outer casing of thick and tough halftanned. 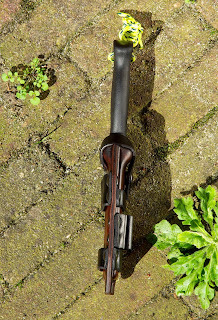 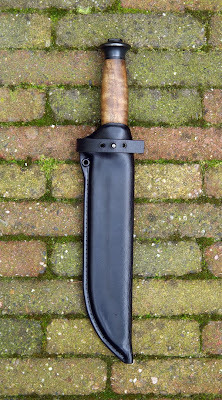 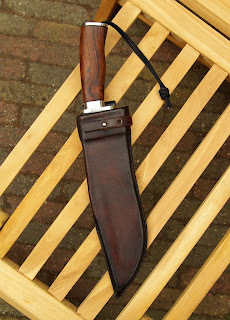 The recurve bowie was made by Dutch Bladesmith Erik Markman. 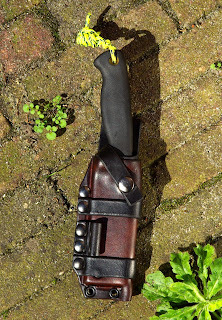 ... and many more ..
Martin, I really am impressed by your work. 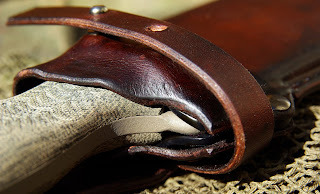 I've been following your blog for some time and I think I'll be waiting quite a while before my work is anywhere as good as yours. 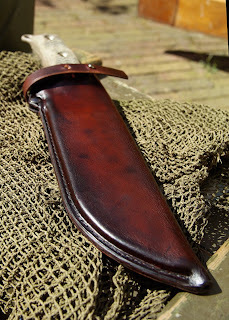 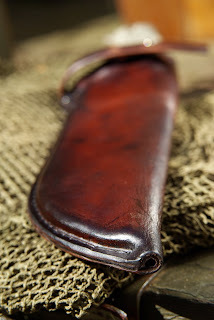 Do you sell your sheaths? 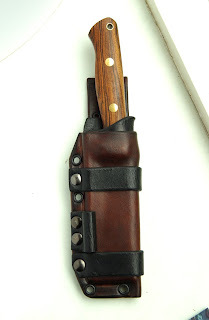 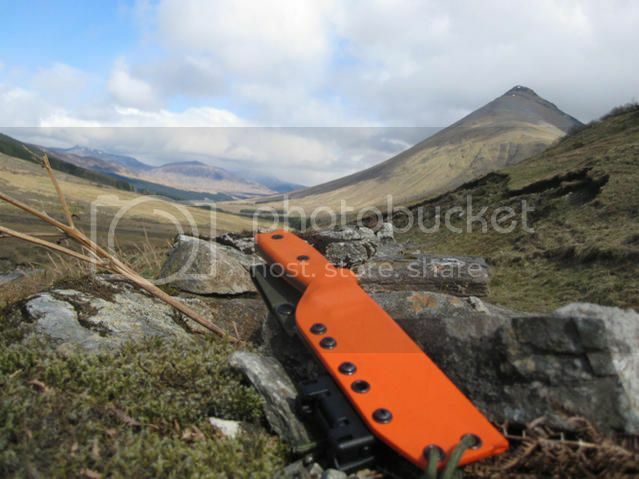 If so, I'd be interested in buying one of your technical sheaths for an F1. 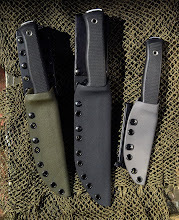 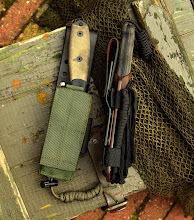 How can I buy a kydex sheath in camo or OD for the Fällkniven A1?